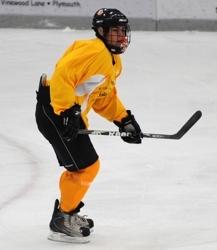 Tim Bonner, Osseo’s career scoring leader, scored three goals to lead the Minnesota Senior All-Stars past North Dakota 5-1 on Friday, April 15, as round-robin play began in the CCM Minnesota National Invitational Tournament at Plymouth Ice Center. Bonner, who likely will play junior hockey in the United States Hockey League or North American Hockey League next season, scored twice in the second period and again in the third. Bonner and linemates Thomas Schutt of Minnetonka and Garrett Skrbich of Hermantown combined to score four of Minnesota’s goals and finished with 11 points. Dom DeGuiseppi of Grand Rapids and Nick Lehr of Roseville combined to make 22 saves for Minnesota. Bryan Nies of North Dakota high school state champion Grand Forks Red River finished with 29 saves. The top two teams in each three-team pool will meet on Sunday, April 17, in the tournament championship. In the other pool play matchup on Friday, Aaron Leach scored 5 minutes, 4 seconds into the third period to lift Michigan past defending champion Wisconsin 5-4. Carlo DeGrazia added a goal and an assist for Michigan, which got 42 saves from Michael Pesendorfer. Aleaxander Dahl and Brad Navin each had a goal and an assist for Wisconsin. Saxton Soley made 26 saves. 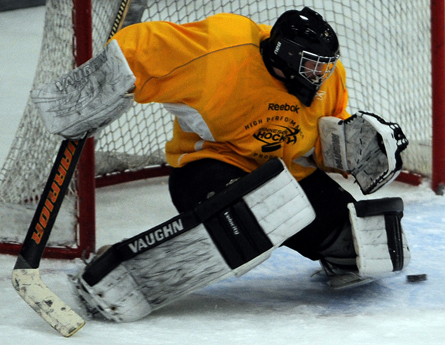 Tournament play continues with four more round robin games on Saturday, April 16.